why choose shop insurance through autonet? 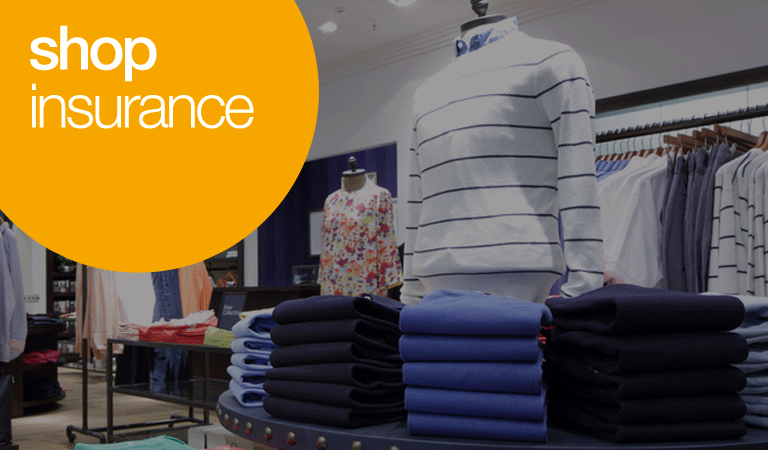 When it comes to shop insurance, every proprietor has their own unique requirements. That’s why it’s important to select only the cover you need so you’re not paying for anything that isn’t necessary. Get a quote today to compare prices from some of the leading shop insurance providers and see how much you could save. To get started, simply call us on 08444 930 170* or fill in your details with our quick and simple form, and one of our specialist business agents will get back to you with our cheapest price. To complete your shop insurance package, choose from the following areas of cover to tailor your policy to your needs. You can also select to add these products for when things happen that are out of your control that has a direct impact on your business. For example, Loss of License protects you against any loss of value to your shop if your liquor license is forfeited or you have been refused renewal. Cover for Business Interruption will pay out if trade or business at your shop is interrupted as a result of loss or damage covered under the policy, for example, if a tree falls through your shop window you will be unable to open and therefore lose business; this product will cover you for those losses. Contents Insurance does exactly what it says on the tin – provides cover for your contents and stock. This insurance will pay out in the event of damaged, stolen or destroyed stock – for example by a flood or fire. Seasonal increase cover is included in this, which will increase your level of cover when the value of your stock increases. This is ideal for shops that will see their stock levels rise during busy parts of the year, for example during the Christmas period. Businesses selling frozen foods or other refrigerated perishable goods can protect themselves against damage, deterioration or contamination if your unit breaks as a result of mechanical or electrical defects, failure of temperature controls, or accidental failure of the public electricity supply. You should also think about insuring two of your most important assets – your money and your shop. Loss of Money cover will protect you against the loss of money on the premises or whilst in transit, for example whilst on the way to the bank. Buildings Insurance protects the structure of your shop from vandalism or accidental damage as a result of fire, flood, theft or attempted theft. Goods in Transit insurance is important for shop owners who want to protect their products while they’re being transported. If your goods are damaged whilst in transit by vehicles you own or have hired, you can claim the cost of replacing those goods with Goods in transit insurance. This will also cover you whilst loading and unloading your goods. Public Liability Insurance is a must for any business that has direct contact with the public. Public Liability will cover the business for any injury to a member of the public as a result of negligence by you or one of your employees. This can be as simple as a customer tripping over an object left by one of your employees and injuring themselves. Product Liability Insurance covers you in the event that your product causes injury to a person or damage to their property. For example, if a customer buys a toaster from your shop which then causes a fire due to a fault with the toaster, the purchaser would want to seek compensation from you for the damage the faulty toaster has caused. With product liability insurance, your policy will cover you for any compensation due as well as for any legal costs involved. Employer’s Liability Insurance is a legal requirement and will cover you for compensation and legal fees for employees who are injured or made ill at work through the fault of the employer. An example of this would be if an employee tripped on a piece of carpet that was raised off the floor, fell and broke her arm – it would have been the employers responsibility to fix the carpet, not the employee, therefore the employee can claim for compensation from the employer’s liability insurance.